Acciona Agua is an experienced design build contractor of water and wastewater treatment plants, including membrane systems for desalination, with reference projects in the USA (Tampa Bay Desalination Plant) and Canada (Saint John Water Supply P3 in New Brunswick and North Shore Wastewater Treatment Plant in Vancouver). We are also an operations and maintenance contractor of all forms of treatment plants, including their associated linear infrastructure. If required, Acciona Agua can invest its own capital in P3 type projects. Acciona has offices in Chicago and Los Angeles. Aecon Water is a wholly owned subsidiary of Aecon Group Inc. Aecon Water has been actively involved in water and wastewater construction since 1964, successfully completing over 200 projects. The company’s primary business is the construction and commissioning of complex water and wastewater treatment plants, with a focus on design-build and collaborative delivery. As well, Aecon Water has successfully executed and delivered several public-private partnership projects in the water sector. At the core of our services and operations are our people, experience, methodologies, and our ability to integrate technologies. Alberici is a diversified construction company recognized for superior quality and customer service. With operations throughout North America, we offer general contracting, construction management, and design-build solutions, as well as the ability to self-perform key components of our projects. With annual revenues exceeding $2 billion, Alberici is consistently ranked as one of the 40 largest construction companies in the United States by Engineering News-Record. Alberici has built a reputation as a leading constructor of water and wastewater facilities through more than 50 years of experience in this challenging market. We are experts in new plant construction and also have a strong resume in constructing plant expansions within operating facilities. Our extensive workforce, equipment fleet, and self-performance capabilities allow us to deliver projects on time and within budget. Alberici has the ability to control schedule and cost by self-performing critical scopes of work such as yard piping, form & place concrete, process pipe and equipment installation, and structural steel fabrication and erection. With our experience as a builder and our collaborative mindset, we work closely with our clients and leading engineers to understand the project objectives and develop optimal solutions to water and wastewater infrastructure needs. 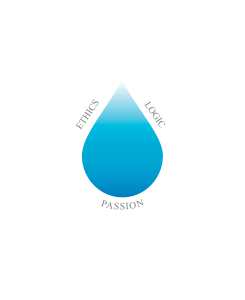 Aqua-Aerobic Systems is an applied engineering company specializing in adaptive water management solutions including aeration/mixing, biological processes, cloth media filtration, membranes, oxidation/disinfection, and process control. Since 1969, the company has served the water and wastewater industry by providing both municipal and industrial customers around the world with advanced technologies and treatment solutions that easily adapt to changing demands. From enhanced nutrient removal to primary filtration, ultra low phosphorus removal or even water reuse, Aqua-Aerobic has proven solutions that offer the lowest cost of ownership with lifetime customer service. Learn how Aqua-Aerobic technologies can increase efficiency, save time, and lower costs. Austin Industries is over 100 years old and is one of the nation’s largest, most diversified U.S.-based construction companies. Austin Industries provides nearly every type of civil, commercial, and industrial construction service through the expertise of our operating companies: Austin Bridge & Road, Austin Commercial, and Austin Industrial. Customers rely on our expertise in construction management on conventionally bid and collaboratively procured projects, including design-build, construction manager at-risk, and construction management/ general contracting. Austin is 100 percent employee-owned, so each employee-owner has a stake in the company’s success, and the company has a stake in each employee-owner’s success. Employee-ownership also means our customers know that each individual they contact throughout our company has a vested interest in the success of their projects. This culture of mutual success extends to our relationships with suppliers, subcontractors, and business partners, and it’s why we have achieved 85% repeat business with our customers. Our company prides itself on delivering exceptional service on large, highly complicated projects with particular emphasis on qualified teams and performance. Our core values include safety, service, integrity, and employee-ownership. Balfour Beatty is an industry-leading provider of general contracting, at-risk construction management, and design-build services for public and private sector clients across the nation. Balfour Beatty designs and constructs civils and vertical projects that support the nation’s growing urban communities. Complex infrastructure projects include highways, bridges, tunnels, water and wastewater treatment plants, light rail networks, heavy rail, commuter rail, city streetcars, short line, Class 1 and freight railroads. Vertical construction projects include corporate offices, education, hospitality, residential and healthcare facilities. Clark Construction Group is one of the most experienced and respected building and civil construction firms in the United States. For over a century, we have been transforming the ideas and visions of our clients into award-winning projects. We build with the intention of exceeding our clients’ expectations for safety, quality, functionality, and aesthetics, and deliver finished products that stand the test of time. Clark Water is a group dedicated to delivering water and wastewater treatment plant projects and specializes in collaborative delivery. Core and Main (formerly HD Supply Waterworks) is the nation’s largest distributor of water, sewer, storm, fusible piping, AMR/AMI, and fire protection products, serving owners, engineers, project managers, and constructors. With operations in more than 240 locations in the United States and the Caribbean, Core and Main is able to provide the same level of service throughout this geography for water/sewer residential, commercial, municipal, infrastructure, and treatment plant projects. Let us assign a dedicated team to assist with your next CMAR or DB during the planning, budgeting, bidding, pre-construction, and construction project processes. Established in 1993, Crossland Heavy Contractors, Inc., pursues civil construction in Southeast Kansas, Northeast Oklahoma, and Southwest Missouri. Initially focusing on bridge and roadway projects, over the years the company expanded into water and wastewater treatment facilities, structural concrete, municipal and site utilities, and earthwork, along with a variety of other civil oriented projects. The company is headquartered in Columbus, Kansas, with offices in Tulsa, Oklahoma, Kansas City, Missouri, and Rogers, Arkansas. Crossland’s mission as a quality contractor not only addresses their projects, but also their relationships with owners, engineers, and consultants. Crossland approaches each project as if it were a partnership, knowing that clients’ goals for a project closely mirror its own – a safe, timely, and quality-built project. Founded in 1901, Enerfab is an industry leader providing fabrication, construction, and maintenance services within the utility and heavy industrial markets. Headquartered in Cincinnati, Ohio, Enerfab is one of the fastest growing privately held companies in the area, employing approximately 4,000 people and operating in four regions. Enerfab’s Midwest Region, formerly Foley Company, proudly serves the greater Kansas City market and the surrounding markets with expertise in water and wastewater facilities, commercial construction, industrial and power plants, and healthcare facilities. With combined resources from across all regional offices, Enerfab brings one-stop, turn-key solutions from the shop to the field. Evoqua Water Technologies is the global leader in helping municipalities and industrial customers protect and improve the world’s most fundamental natural resource: water. We have a more than 100-year heritage of innovation and industry firsts, market-leading expertise, and unmatched customer service. Our cost-effective and reliable treatment systems and services ensure uninterrupted quantity and quality of water, enable regulatory and environmental compliance, increase efficiency through water reuse, and prepare customers for next-generation demands. As the nation’s largest waterworks company, Ferguson Waterworks offers contractors and municipalities a reliable coast-to-coast network of 200 locations and 2,100 highly trained associates. In addition, Ferguson’s plant division is the foremost material supplier in the design-build marketplace. Our relationships with the industry’s top vendors mean on-time delivery, unmatched support, and industry-leading fill rates for a wide breadth of products across the water, sanitary sewer, and storm water management industries. Public and private water and sewer authorities, plant contractors, utility contractors, public works/line contractors, heavy highway contractors, and more look to Ferguson for its customer-first approach to supply and service in the waterworks industry. Flatiron is a Colorado-based construction company founded in 1947. Since then, Flatiron has expanded throughout the U.S. and Canada, completing some of the most complex heavy civil and water infrastructure projects in North America with revenues in excess of $1.3 billion. We have the local expertise backed by the experience and resources of a national and international contractor with 1,764 skilled craft workers in the U.S. Our parent company, HOCHTIEF, was ranked #2 Top International Contractor by Engineering News-Record. Within the last ten years, Flatiron has successfully completed 50+ water/wastewater infrastructure contracts and delivered more than 33 design-build contracts worth a combined $6.5 billion, with another $6 billion under contract. A general contractor since 1947, Goodwin Brothers Construction self-performs heavy municipal, industrial, civil, and commercial design-build projects. We add value to projects in today’s dynamic construction environment through our commitment to upholding the highest standards of craftsmanship and integrity. Our ability to perform large, complex projects with a small company mindset simplifies processes from proposal to closeout stage resulting in successful projects. Goodwin Brothers Construction is committed to being a design-builder that sets the standard for promoting a safe working environment and producing the highest standard of quality work in the water industry, while maintaining project budgets and schedules through focused collaboration. McCarthy Building Companies, Inc., is a premier national builder, committed to supporting and improving the critical infrastructure that connects our communities and keeps them running smoothly. From early in the design phase, through construction and start up, our national Water Services team provides general contracting, construction management, program management, and design-build services for water treatment, water reclamation, and wastewater treatment projects. Delivering an exceptional experience for our clients while ensuring superior quality and safety embedded in every aspect of our work is what drives us. Founded in 1958, PC Construction is one of the nation’s largest employee-owned contractors. PC is headquartered in Vermont with offices in Georgia, Maine, New Hampshire, New York, and North Carolina, and numerous project offices along the East Coast. We offer design-build, construction management, and general contracting services for projects of all sizes – from a single office fit-up to design-build delivery treatment plants valued at over $300 million. Our expertise with successful design-build projects dates back nearly 45 years and we are pleased to have been a partner on over $1.6 billion worth of design-build work, from a small fire station in New England to nearly a half-billion dollars’ worth of industry leading projects at the nation’s largest advanced wastewater treatment plant in Washington, D.C.
PCL Construction has been building water and wastewater treatment plant facilities, pipelines, and other water infrastructure projects from coast to coast since 1986. PCL, the parent company of PCL Construction, was established in 1906 and is a group of independent construction companies that carries out work across the United States, Canada, the Caribbean, and Australia. These diverse operations in the civil infrastructure, heavy industrial, and building markets are supported by a strategic presence in 31 major centers. With an annual construction volume of $6 billion, PCL is ranked 7th on Engineering News-Record’s Top 400 list of general contractors operating in the United States. 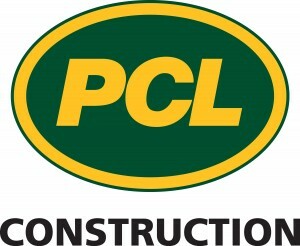 PCL employs more than 4,500 full-time professional and administrative staff and more than 10,000 hourly tradespeople. We offer a variety of construction delivery methods that provide the best solution for our clients, including design-build, progressive design-build, construction management at-risk, and design-bid-­build. PLW Waterworks is a 25-year Texas waterworks construction manager and general contractor headquartered in Houston. In 2017, the firm became a joint venture of Webber, LLC, the largest infrastructure firm in Texas and Cadagua, LLC, one of the foremost waterworks construction firms in the world. Both are wholly owned subsidiaries of Ferrovial – one of the world’s leading companies in intelligent infrastructure. As a part of the Ferrovial family, PLW brings to its projects access to immense financial strength, technical support, and valuable project resources while retaining its nimble operating processes and staff who continue to live the firm’s motto “Ethics – Logic – Passion” in serving its waterworks stakeholders. PLW is rated by Engineering News-Record in the top 20 in waterworks construction nationally. As a leader in the waterworks market, PLW was a founding member of the Texas Water Infrastructure Network or TxWIN®. Known for its innovation, excellent client service, award-winning projects, and for building trust among all stakeholders on its construction projects, PLW is a leader in the waterworks industry: One of the first to install a membrane filtration system in Texas and one of the first Texas waterworks construction managers to use the Construction Manager-at Risk (CMAR) and design-build methods of contract deliveries. PLW has a current backlog of $150 million in construction projects. Reynolds Construction is an industry leader in water supply, pipeline, and treatment plant construction. Providing generations of quality water solutions, Reynolds has been a trusted name for over 75 years. Reynolds delivers specialized construction solutions for the responsible management of water in a wide array of industries and environments by overseeing the design and construction of water and wastewater treatment plants and pipeline installation. With over 300 employees operating in seven permanent offices and multiple project sites nationwide, Reynolds is well positioned to serve municipalities and industries throughout the nation. Reynolds has constructed more than 230 treatment plants and installed over 17 million feet of pipeline. Additionally, Reynolds is an expert in collaborative project delivery methods. In the last 15 years, Reynolds has contracted more than $650 million in collaborative delivery contracts including design-build, design-build-operate, and construction management at-risk. Since 1984, Rice Lake Construction Group has specialized in the construction of water and wastewater treatment facilities and is proud to be ranked as one of Engineering News-Record’s 200 Environmental Contractors. Our nationally recognized work includes more than 100 water treatment plants, 200 wastewater treatment plants, and 115 pumping stations, totaling over a billion dollars in water projects in the Upper Midwest for both municipalities and private clients. We are also recognized as a leader in multiple collaborative delivery methods. On a typical project, our firm will self-perform: site piping, demolition, excavation, concrete work, masonry, structural steel erection, miscellaneous metal installation, carpentry, specialty installation, equipment installation, process piping, and mechanical. We usually subcontract painting and electrical along with some smaller specialty items such as roofing, caulking, etc. Ulliman Schutte is a provider of Design-Build, CMAR, and General Contracting services for the water and wastewater facility construction industry. The growth of collaborative project delivery in water infrastructure is reflected in our project portfolio. Ulliman Schutte actively advocates and promotes the use of design-build and CMAR based on each potential project’s characteristics and goals. Our history as an efficient, self-performing general contractor serves our collaborative delivery clients through highly accurate estimating, value engineering expertise, and our relationships with industry subcontractors and manufacturers. Founded in 1971 and operating offices continuously in California since then, Webcor is a full-service general contracting firm known for its innovative, collaborative, and high-performance approach to construction; wide range of experience; use of cutting edge technology; skill in concrete construction; and expertise in building iconic projects. We have completed over 60 million square feet of projects to date. With gross revenues of more than $2.1 billion in 2017, Webcor Builders is the third largest general contractor in California and the largest builder in the San Francisco Bay Area. We employ over 1,900 full-time multi-disciplined staff, and have headquarters in San Francisco, as well as offices in Alameda, Los Angeles, Honolulu, and at various job sites throughout the region. Xylem (XYL) is a leading global water technology company committed to developing innovative technology solutions to the world’s water challenges. The company’s products and services move, treat, analyze, monitor, and return water to the environment in public utility, industrial, residential, and commercial building service settings. Xylem also provides a leading portfolio of smart metering, network technologies, and advanced infrastructure analytics solutions for water, electric, and gas utilities. The company’s approximately 17,000 employees bring broad applications expertise with a strong focus on identifying comprehensive, sustainable solutions. Headquartered in Rye Brook, New York, with 2018 revenue of $5.2 billion, Xylem does business in more than 150 countries through a number of market-leading product brands. WDBC advisor members are an affiliated “category” of firms working with, and providing services to, engineering and construction firms in the water design-build industry. Candidates for this group include legal, insurance and finance firms, equipment suppliers, consultants, contractors, vendors, trade associations, and academic institutions. WDBC created this membership category to provide opportunities for service providers engaged in the water industry to collaborate with other member firms and gain further recognition of their services in design-build and other forms of collaborative project delivery.